This is pretty amazing for a little 5.4 truck engine, lol. They did the following on the last run. 174.5 MPH in 1/4 mile. 240.0 MPH in the 1/2 mile. 300.4 MPH in the one mile. Faster than anyone has ever done it in any car made. 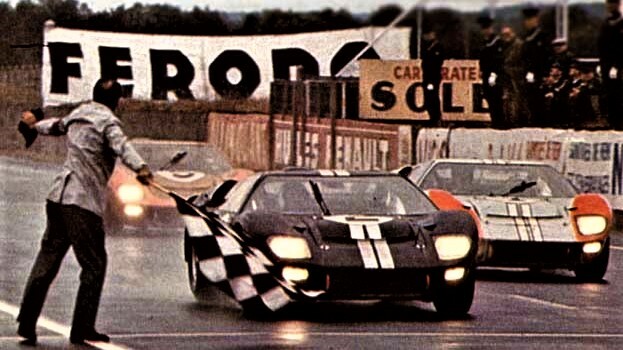 FORD GT....Lot's of racing heritage in its DNA. 53 years later and still takin' care of business! 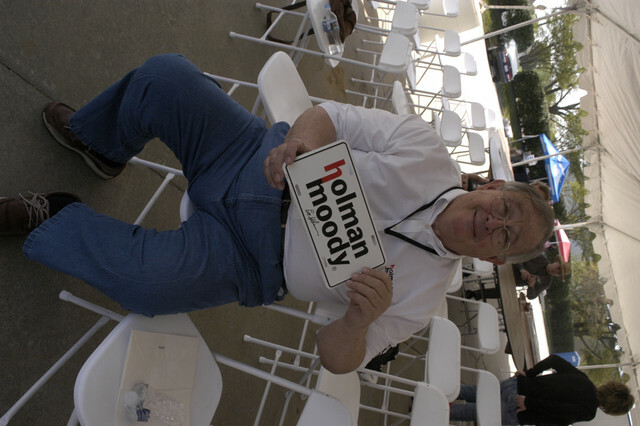 When I was at the MOM last year Lee Holman was giving a talk. He told about when his dad still had 12 of the original GT-40 cars sitting in the warehouse and he got tired of seeing them. He wanted I think $140,000 for all 12 of them. Lee went to the bank to see if he could borrow the money and buy them and bank said his dad would have to cosign. He dad would not he wanted the cars gone. These were complete cars. They also had bodies just stacked on top of each other. Someone got a real deal. He said they sold the 427 side oilers for $300 and the complete running 427 SOHC for $1,000 to get rid of them since NASCAR outlawed them as soon as they hit the track. That is Lee in the pic got him to sign the tag for me. He got to drive all the GT-40 cars at the track to bed in the brakes but his dad would not let him be a driver said that was not his job, lol. Lee also got a new 1964 1/2 Mustang I think #12 maybe. He drove it the day before they were to be released and he said he got stopped by every cop to take a look at it, lol. Wow David....at this point I can only play that song I like to sob over. "If I only Knew Then What I Know Now"! I can only imagine what an original complete Ford GT body would be worth today! $300.00 for a 427 side oiler!! I ordered six 427 BARE blocks for my friend with the 427 Fairlane in 1982, just before Ford discontinued them 10/82. They were just over $900.00 each then! $1,000.00 for a SOHC 427! These engines are now to the point that if you have to ask how much, you can't afford it. The most expensive engine I had seen was at the Charlotte Auto Fair a few years ago. There was a Can-Am 494 which was based on the Boss 429, but displaced 494 Cubic inches. Take home Auto Fair special price was only $10,000.00! Needless to say I kept my hands in my pockets. Appreciate your sharing the Ford GT info you found out from Lee Holman. Bet it is a real treat to listen to Lee relate about their involvement during Ford's Total Performance Days.